A coherent, flexible, and fast accounting software to help Small and Medium Businesses (SMBs) organize their financial operations. 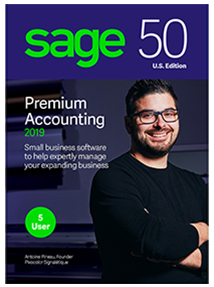 Sage50 offers core accounting, project accounting, expense management, and compliance management. This program saves you a lot of time and enables you to make better business decisions because when you have total control and understanding of your performance, you’ll know what needs to be changed or what needs to be improved. Premium Accounting 2019Your expanding business needs easy-to-use yet powerful accounting, inventory, and reporting capabilities. 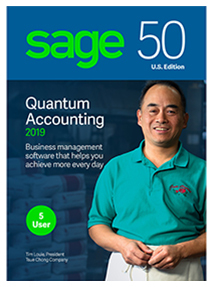 More..
Quantum Accounting 2019Sage 50 Quantum Accounting includes all of the features available in the Sage 50 Premium Accounting Edition, but More.. 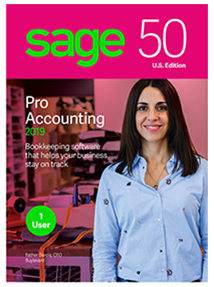 Pro Accounting 2019Whether you are just starting out or switching from a manual system, Sage 50 Pro Accounting has the tools you More..